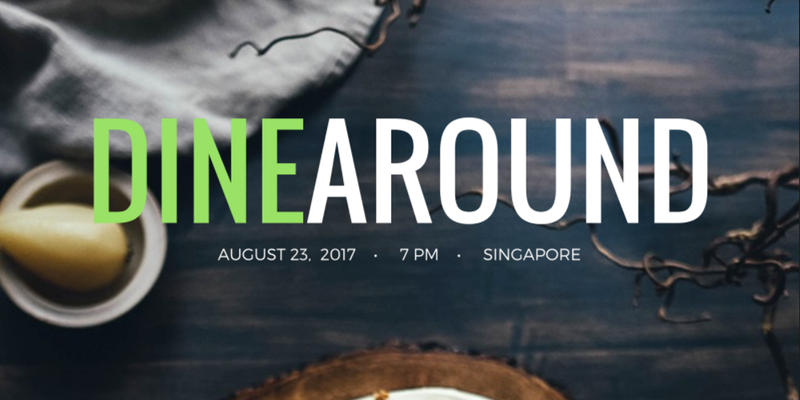 Dine around is a long-time IABC tradition and a wonderful way to sample some of the food that Singapore is famous for with a small group of 6-10 people. Time: Please meet in the lobby of the Fairmont Hotel at 7.15pm – directly after the welcome reception and find your group. Reservations will be made for 7.30pm, and most venues will require a short cab ride. Each diner is responsible for the cost of their own meal and drinks. Where possible, venues will split bills / checks. The conference organising committee has selected six venues that provide an opportunity to experience an aspect of Singapore’s food culture in a wonderful location. A maximum of 10 places has been reserved at each location (with the exception of the Lau Pa Sat Hawker market). Please reserve your place by filling in the form on this page. Peranakan promises authentic Nonya cuisine (consisting of a combination of Malay and Chinese ingredients and techniques) based on recipes handed down to Executive Chef Raymond Khoo by his family. The restaurant is located in vibrant Orchard Road, just 2.5 kms from the Novotel Clarke Quay. Established in 1947, this Indian vegetarian restaurant is a household name in Singapore, providing inexpensive meals at its many outlets. Popular items from the menu are the vegetarian biryani, south Indian thali (rice meal), chapati and dosa. The restaurant is located in the fascinating neighbourhood of Little India. Please also note that tables cannot be reserved, and therefore we may be need to wait for a table when we get there. Lau Pa Sat, is located in the heart of Singapore’s financial district, and is one of the most popular food markets in Singapore. It’s a wonderful opportunity to admire some striking architecture, do some people watching and choose from a dizzying array of local delicacies such as chicken rice and satay . Singapore is synonymous with chill crab and Jumbo Seafood is an award-winning restaurant that is famous for it. The black pepper crab is another great option and bibs are provided! Bar-Roque is a modern rotisserie and bar for those interested in a fine dining option. Chef Stephane Istel hails from Alsace and has cooked his way across France to the Caribbean, USA, Canada and now Singapore, drawing on deep traditional roots. Options include a S$88 4 course set menu or a six course Chef surprise menu for S$108. Lucha Loco is a taqueria and garden bar serving Mexican food and quality tequilas. It’s located in Duxton Hill which is a happening part of Singapore with plenty of bars.